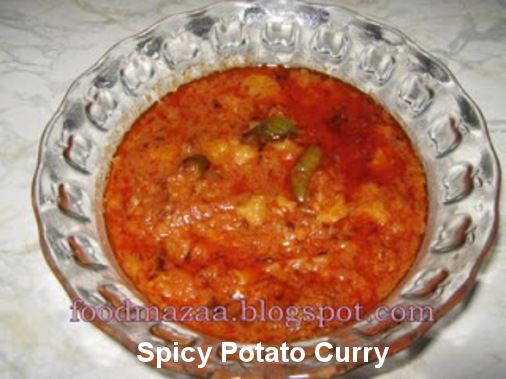 This spicy potato curry makes a nice accompaniment with puris and rotis. Adjust the spice level as you like it. 1. Heat 2 tbsp oil, add jeera. When it crackles, add hing, curry leaves, green chillies and immediately add tomato paste. 2. Also add salt and red chilli powder. 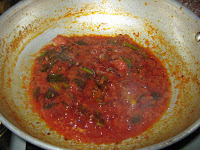 Saute tomatoes until they are reduced to half the quantity, and the oil leaves the paste. 3. Now add the crushed potatoes, saute well, and add a little water to make a thick gravy. Simmer for 5 minutes, check salt and remove from fire. Serve with puris or plain steamed rice. Anything potato and I'm sold. This curry looks particularly spicy and so yummy! Yes dear.. I love it too. goes well with puris. Thank you very much for sending me your recipes! 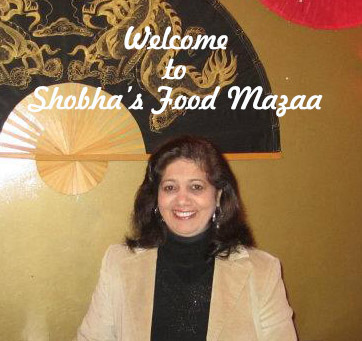 Thanks for liking Arthi ..
hi shobha, how's brazil, are you back yet? Looks spicy and flavourful. Very interesting curry. Perfect with rotis. Thx for linking.